The team of 18 includes researchers from Scripps Institution of Oceanography at UC San Diego, the Australian National University and the Stockholm Resilience Centre. 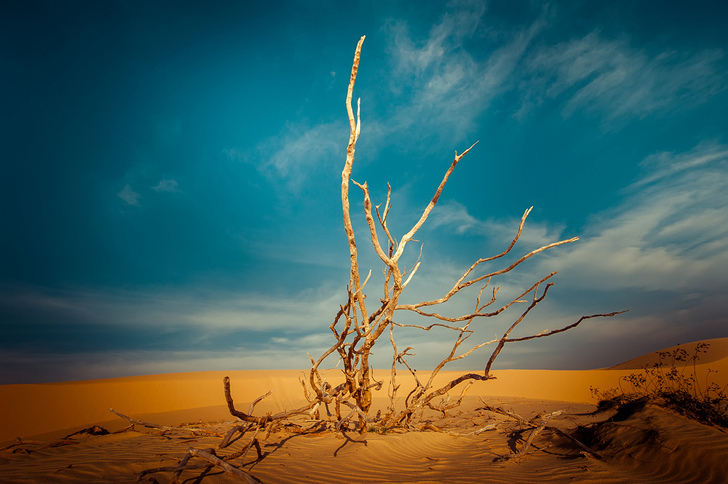 Together they spent five years identifying nine planetary boundaries, whose “processes and systems regulate the stability and resilience of the earth system,” as well as the current standing of those boundaries. Of these, climate change and biosphere integrity are “core boundaries,” and any significant change in these would “drive the earth system into a new state.” Yet, we have already crossed into a “zone of uncertainty” in not just climate change and biosphere integrity, but also biogeochemical flows and land-system change. The findings were published January 16 in the journal Science, and will be presented as a series of seminars at the World Economic Forum in Davos on January 21-24. 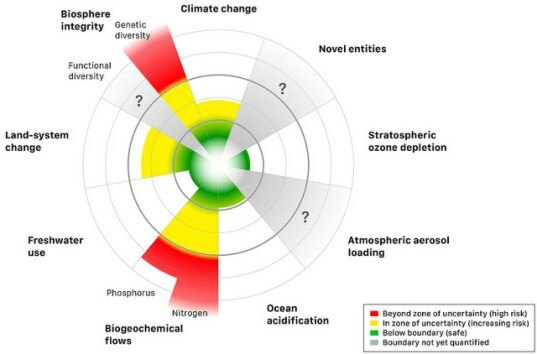 An international team of researchers has identified nine planetary boundaries that must be maintained in order to sustain life on earth as we know it. Of those nine, we have already crossed the thresholds of four in such as way as to "fundamentally change the functions of nature." By "degrading land and freshwater systems, emitting greenhouse gases and releasing vast amounts of agricultural chemicals into the environment" we are, the researchers say "eating away at our own life support systems."